While road riding offers some variation via climbing, descending, flat sections, distance trips and speed sprints for the most part it’s a lot of the same thing. Don’t get me wrong I love my road bike and my hours in the saddle along some beautiful scenic central coast roads. I do however find myself thinking from time to time; “That’s a cool looking trail over there, wish I could see where it goes.” or “Gee, I’d like to ride down that embankment and onto the beach or park or whatever.” With Cyclo-cross that’s pretty much the point. Take your super cool bike, almost anywhere you want. The ability to go where you want and change things up is a huge plus to try Cross. Not only a change in location and terrains, but in the way you ride, which leads into my next reason. If peddling up and down hills and sprinting to beat your best time isn’t brutal enough let Cross throw in a bunch of obstacles and environmental variations to make things more work. Now you’ll have to peddle on smooth pavement, sinking sand, slippery gravel, slick and in some cases thick wet grass, dry dusty dirt and during those wet rainy days, mud! But the challenges don’t stop there, now hop off your bike, toss it on your shoulder and sprint up some stairs, over barriers or up steep embankments. And when you remount be prepared to bunny hop over the small obstacles to keep your speed up, because CX is mostly about bursts of high energy and power, over and over again. If you’re getting the picture you’re probably already out of breathe. 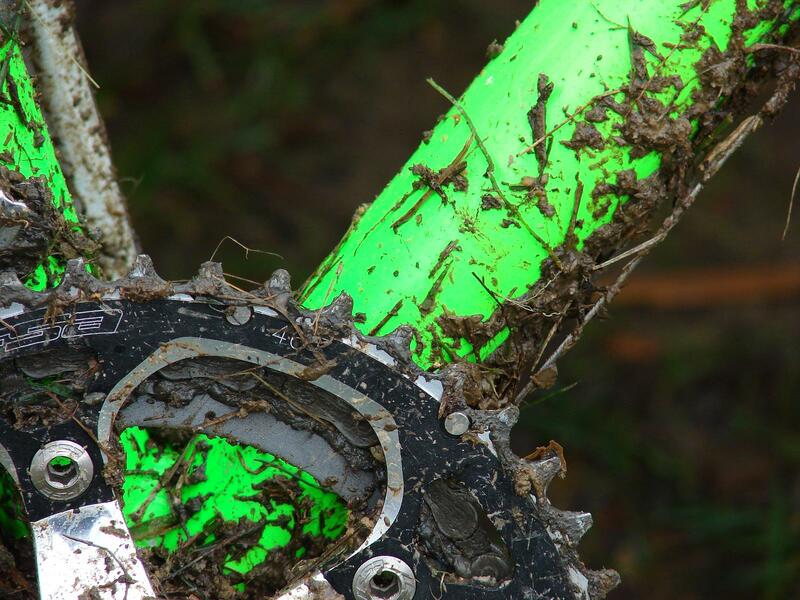 Cyclocross is a major fitness challenge for any level athlete. And given the high intensity interval like nature of the sport it’s great for building endurance, and boosting your fitness. Reason number 3 takes those awesome fitness gains from reason #2 and allows me to finally beat my wife up that crazy hill climb on our Saturday couple’s ride. I hope it does at least. Really though any additional training during the road off season will only help your performance when back on pavement. The fact that you get to stay in the saddle (well in and out of the saddle) means I still get to have my bike fix all year without being stuck in spin classes. Add to that improved bike handling gained while dodging fallen riders and hopping barriers and there’s my third reason for starting CX. Reason number 4 is obvious; New Stuff! Let’s face it after years of riding you probably have one or two or ten bikes all setup depending on what ride you’re planning to take. You’re trusted go-to do everything road machine, your commuter, your single speed farmers market bike, your time trial speed demon, etc. But CX gives you something none of those do; the chance to buy another bike! Or at the very least some new stuff for one you have. CX riding typically requires wider knobby tires which means enough clearance in the frame for those bigger tires. Which also means brakes that can handle that wide gap either cantilever or disc seem to be the most preferred options in recent years. You’ll probably need new mountain style cleats and shoes and while that’s probably enough to get you started you can see where this is going right? A chance to do some shopping! Frames, wheelsets, kits, gear, oh my! Yes like many of us cyclists I can never say no to more bicycling stuff, especially if it means a new bike! Finally and most importantly is cyclocross is major fun! Whether you’re watching racers sprint around a track and narrowly escape some crazy obstacles, or you yourself are covered in mud and sliding around corners, or just enjoying a nice afternoon taking the path less traveled CX takes me back to that place as a kid where a bike meant freedom to do whatever and go wherever I choose. So while I’ll be free to tackle any trail or obstacle that catches my eyes, build up an amazing physic that makes be a better road racer all on a bunch of new gear, my biggest reason to Cross is that it’s so inherently fun. There’s one final reason that’s worth mentioning. The world of CX is full of fun and enthusiastic people that really like bikes. Everyone I’ve met and talked to while starting my cross journey really loves to ride and you can almost feel their excitement when they talk about cyclocross.